Thirty-some years ago they gathered to pray. Desperate Christian leaders bridged denominational divides and came together as one to beg God to heal their land that had been ravaged by natural disasters, a devastated economy, and a deadly internal conflict. A 1970 Peru earthquake-turned-landslide was the fourth most deadly of the 20th century with a death toll of nearly 70,000. In the late 70's-early '80's, Peru's military debt and unemployment soared, while the inflation rate rose to triple digits. Another 70,000 Peruvians would lose their lives in fighting between guerrillas and government forces in the decades that followed. But, our merciful Father heard their cries and He answered. Hearts began turning toward the only One who could save them, and in recent years, the nation of Peru has seen its Christian population go from a mere 3% to 23% today. The advance of the gospel in Peru is more than carrying on... it's expanding at a speed like never before. Three years ago, a team of Global Advance Ambassadors gathered to pray. We felt strongly that God was calling us to raise up modern day Esthers: women who will stand in the gap and become spiritual mothers, empowering the next generation of believers to know their identity, worth, and purpose in Christ. Our gracious Father heard our cries and He answered. The Esther Manual was developed, and our first mentoring pilot groups were formed to include top women leaders representing strategic regions all around the world. It turns out that as we were praying for them, God was simultaneously answering their prayers through us. They had a passion to reach women on a deeper level in their nations, and were now empowered with the vision and tools needed to take those intentional next steps. As we entered Peru, we prayed. Months before the conference began, we prayed for our Esther local team as they gathered in Lima to study through the Esther Manual and plan how they would expand the Esther vision among the women in their churches and cities. We prayed for the 350 leaders, representing 309 churches, who gathered the day before our event. These women leaders - now gifted with the Esther Manual - were challenged to take inventory of who would join them at the conference, and to prayerfully consider investing in these women through our Esther Mentoring Track after they returned home. And we prayed for the 1,200 women who were in attendance at the conference (including over 20 women who came forward to make first time professions of faith in Christ!) - that they would be inspired to go back to their homes, their churches, their workplaces, and their communities, filled up and empowered to be catalysts for God's purposes right where they live... long after the conference was over. We prayed, and our great God answered. Ester's story is just one example of how God is multiplying our training efforts post-conference. Ester lives and serves near remote villages high in Peru's Andes mountains, where for some, the name of Jesus is still yet to be heard; where women struggle to know their worth, and where girls are often exploited and abused at a very young age. Ester joyfully arrived at the conference to fill the role of translator, but in her heart she secretly prayed that she would also find a resource that she could take back to the mountains that would help women know their true identity and purpose in Christ! 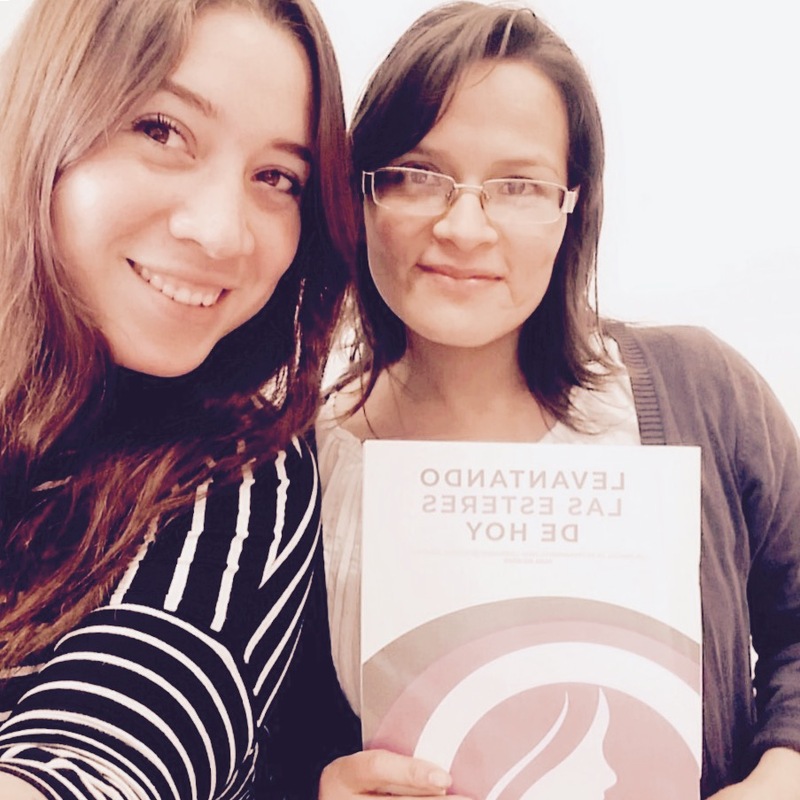 Within the first week after returning home with the Esther Manual in hand, Ester has formed her first mentoring group with teachers and nurses at the mission, with a goal of empowering the hurting women and girls they counsel with these key truths. From the growing local church, to the unreached mountains, God is answering prayers and changing women’s lives in the nation of Peru! Your partnership with Global Advance helps us to continue to light the nations through our Esther Initiative Conferences and Mentoring Tracks in South America and beyond.